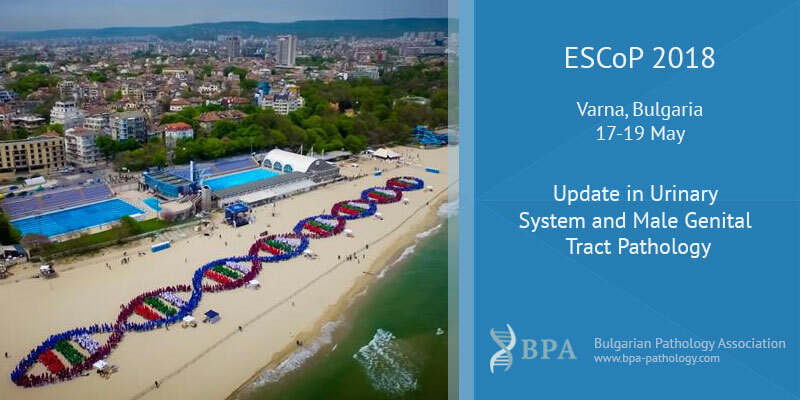 Fourth EScoP 2018 course is going to take place in Varna, Bulgaria between 17th – 19th May. The topic of the course is: „Update in Urinary System and Male Genital Tract Pathology“ with top lecturers Maria R Raspollini, Maurizio Colecchia, Marina Scarpelli, Antonio Lopez Beltran and Rodolfo Montironi. The event will be held in Varna Medical University, which makes it possible for participants to follow a new online-based education in very interactive way. The preliminary program of the course is designed to provide the best knowledge and information for those who dare to continue their medical education! If you would like to participate in the course, you have to register online after fulfilling the form and attaching copy of your paid fee. Looking forward to meeting you in Varna!